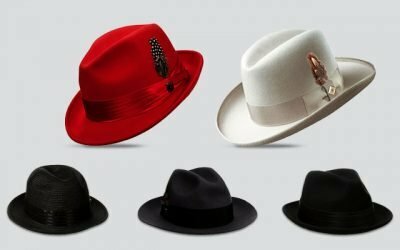 Cowboy hats are not just a classic hat style that a man should have (Other styles are introduced here https://thebesthat.com/9-classic-hat-styles-every-man/). If your little kids are fans of lovely cartoon characters such as Lucky Luke or Woody and Jessie from Toy Story, they would love wearing a cowboy hat just like these characters that they like. They believe that when they wear these cowboy hats, they imagine that they are into a small adventure of their own world or the Wild West world. Not to mention that these hats are what they want for a themed birthday party or Halloween. There are a lot of options for you to choose from in term of cowboy hats. They are well diverse in styles, colors, and materials for your consideration. 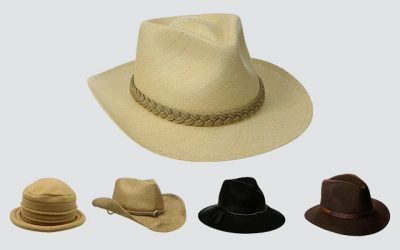 You can choose a cowboy hat made from straw, polyester or felt material. They have their own unique details such as shapeable brim or leather headband. 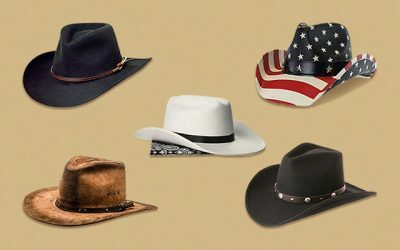 In order to make the most informed choice, why not take a look at some of the best cowboys’ hat you can possibly find on the market now? Its Main Features: Are you looking for a baby cowboy hat for his or her first Western themed party? Check out his hat. This hat is made of 100 % of felt material with a leather hatband. It also features 3 metal studs on the hatband and a braided chin cord. It is available in 1 size with the circumference of 11 inches. There are a lot of things that I love about this hat. First of all, it is made of the real and high quality felt material- the one that you can find in expensive and premium adult cowboy hats. This material is soft and smooth on your baby’s skin. In addition, it is breathable and stain resistant. And it is so tough and durable that it can last for a long time looking like new. Second of all, the other materials of this hat are made of the premium quality. For instance, the metal studs look shiny and the leather hatband is tough and stain resistant. Besides the premium material, this hat is also well made with an excellent craftsmanship for a sturdy and solid rodeo hat. The brim can be slightly curved inwards and outwards to form the style that you like. You can learn more about how to change the shape of the brim of any cowboy hat. This hat can go well with a button down shirt and a pair of Jeans. This look is a perfect for a theme party or Halloween. Its Main Features: This cowboy hat is made of 100 % of straw with a leather headband. It is available in the natural color. There are 3 sizes for your consideration. You can choose the x-small size for infant, medium for 6 month baby and the large size for up to 18 month baby. The materials of this hat are of premium quality. The straw is made from palm leaves for a soft and smooth feeling on the touch. In addition, the high quality straw material makes this hat lightweight and more importantly, breathable and well ventilated. The leather hatband, on the other hand, is also soft and durable. This hat also comes with a cotton sweatband built inside the hat to help wicking moisture away and keep the head of your baby cool and dry at all time. Not to mention that the sweatband is elastic so that it can easily stretch and hug the head of your baby perfectly. This kid cowboy hat has an inner wire that is attached along the outer edge of the brim. Therefore, while the brim of this hat is soft, it will not become flimsy in case of a high wind and block the sight of your baby. In addition, thanks to the wire, you can easily reshape the brim to create the style that you want. In case you are searching for a cowboy hat for your kids to wear when you go to the back or to the pack in a hot summer day, this is one of the best choices for your consideration. However, keep in mind that there is no chin cord, so it might be a little bit convenient for your baby to wear in a windy day. Its Main Features: This toddler cowboy hat is made for 0-3 month babies only. It is made with 00 % of handmade crochet knit costume. The set include a hat, a diaper cover, and a pair of boots. These items, including the cowboy hats, are made for photography props only. If you are looking for such thing to wear for your babies before taking his or her photo, it is worth checking this product. 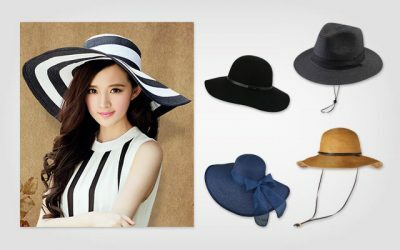 The hat is made of the high quality knitted material, which is soft and smooth. In addition, these materials are eco-friendly products. Therefore, it is safe to use on the sensitive skin of your babies. Another thing that I like about this knitted cowboy hat is that it is really well made. The entire hat is knitted well for a firm and solid construction. While this is a crochet set, meaning that this hat is not so stiff, it can hold up well on the head of your baby, ready for you to take memorable photos. The brim can be a little bit floppy because of the soft material. Besides being a cute and adorable photography props, this crochet knit hat is a valuable keepsake to mark the development of your babies. It lasts for a long time so the memorable milestone of your baby is treasured. 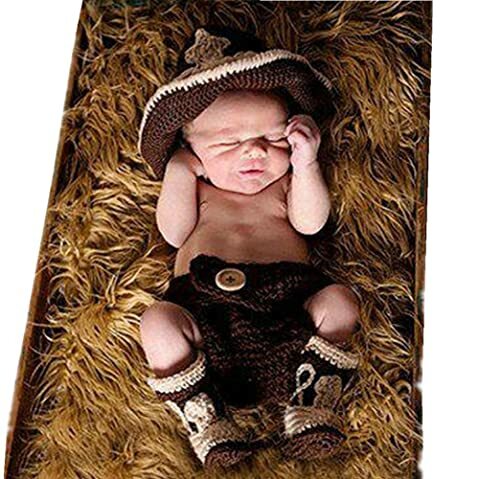 If you are about to take pictures of the first months of your baby, you should well consider this set of props with a cute knitted little cowboy hat. Its Main Features: Here comes another cowboy hat which is made from straw. 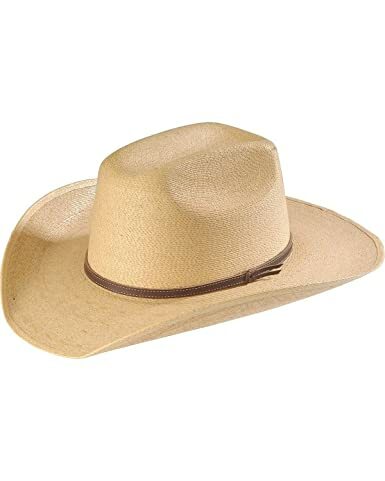 This cowboy hat is available in 2 options of colors, which are beige and blue. 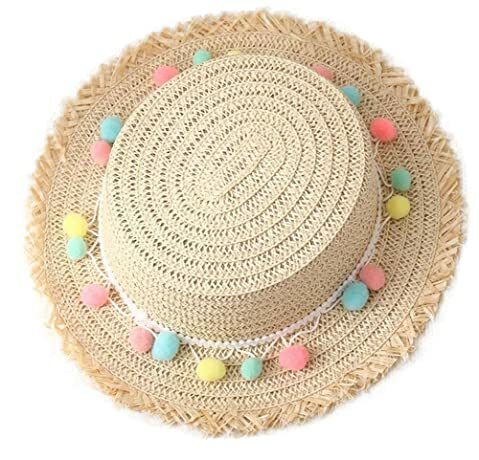 If you are looking for kids cowboy hats for girl with extra adorable details such as cute little pom-poms, this one is one of the best options that you can have on the market. It is available in 1 size for baby from 0 to 12 months. 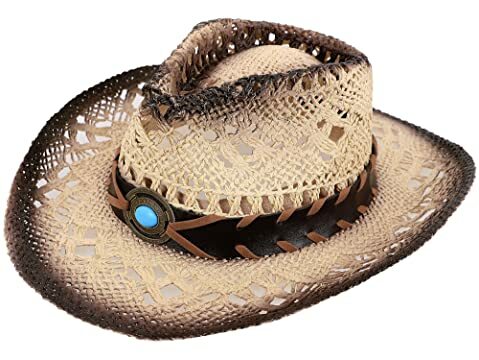 This cowboy hat is made from the premium straw material. It is therefore soft, flexible, and lightweight. As a result, your baby will feel comfortable wearing the hat for a long time. In addition, this cowboy hat for kids has a quick drying performance so your baby can enjoy wearing the hat and taking part in outdoor water activities at the same time. The material is soft; hence, you can easily roll and pack the hat into a small bag, which is super convenient for storage and carrying around. The greatest feature of this cowboy hat is its design. Coming with pompoms, this cowboy hat is one of the most unique and girly cowboy hats that you can buy for your little girl. 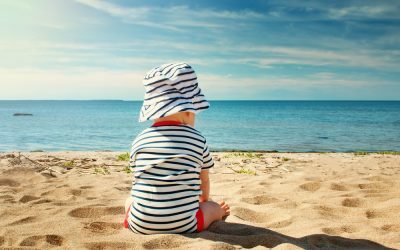 Besides wearing this hat to the beach, you can use it when your baby goes hiking, camping, or taking part in other outdoor activities. The details on the hat make it perfect for any summer time outfit. Its Main Features: This cowboy hat for kids is made of 100 % of polyester. It is available in 2 sizes, including extra small and small. The extra small size can fit the size of your toddle if you are looking for a toddler cowboy hat. It comes with a headband but no chin cord. This hat is made of the premium quality, which is quite lightweight and comfortable to wear. It is also tough and stain resistant. Also, you can easily wipe the hat with a damp cloth. There is no need to wash the hat under the water. Like other hats for kids to wear in the hot summer day, this hat is quite breathable and well ventilated. The inner sweatband helps to wick moisture away effectively as well. Another thing that I love about this hat is that when you buy it, you have a complete set of the cowboy chaps, vest, and hat. It means that you have a complete cowboy look without having to buy separate items. Lastly, this hat is well made with a firm and solid construction. The brim of this cowboy hat can stay in its shape nicely and will not become flimsy at all. 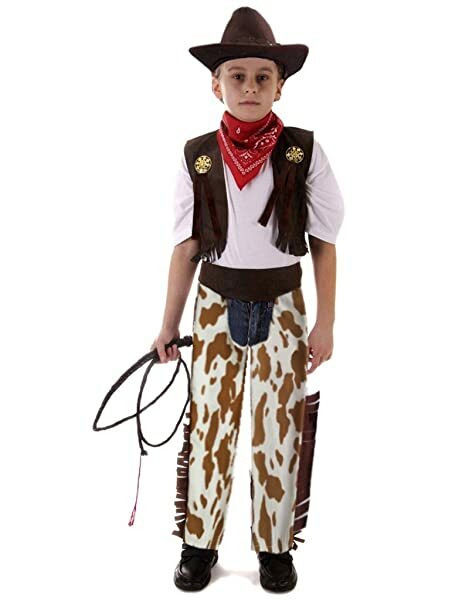 Your little boy can use this set of costume for Halloween, state fair and also for play time. There is no chin cord so that hat might fall off when your little boys are too active. Also, some of our friends say that the stitching lines around the hat are not finished properly and come fray just after a few times your kids wear the hat. 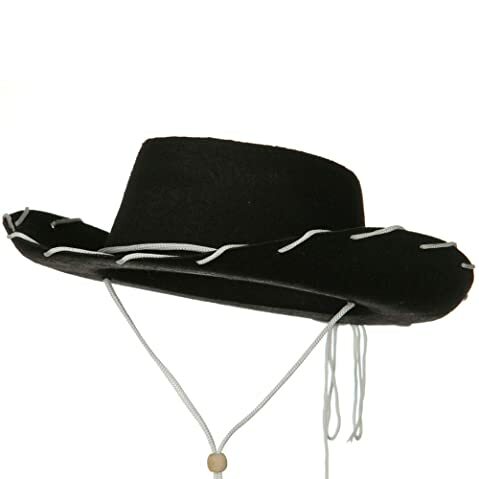 Its Main Features: This cowboy hat is made of 100 % of polyester with a pull on closure. The package comes with the cowboy hat as well as a waistcoat, a pair of pants, and a bandana, helping you to complete a cowboy look for costume, stage, and show. 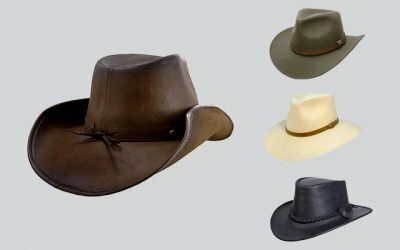 Like other high quality cowboy hats that you can find on the market, this cowboy hat is made of the premium quality, which makes the hat soft and lightweight. While the hat is not really tough and durable over time, it is enough for several themed parties that your kid can take part in. The brim of the hat is stiff and sturdy. Still, you can curve the brim to the shape that you like or that you kid feel most comfortable with. And while the design of this hat is quite simple as it comes in the solid color, it makes it easier for you to pair the hat with other pieces of clothes that your kid have. He or she can wear it to other fun activities as well. The package includes the full set and it comes with a very affordable price. You can save a lot of time and money in searching for other items in order to build a cowboy look. Its Main Features: This cowboy hat is made of 100 % of straw. You can choose between two options of colors, which are blue and pink featuring a pink or blue light-up tiara. Your baby girl can enjoy wearing this hat to a themed party, where she would become a rodeo princess. It features the style of the Texas rancher. Perhaps the most significant feature of this cowgirl hat is that it includes a light-up tiara. With a tiara, it makes the hat look even more glamorous and princess-y. The tiara can be flashy with the LED lights built inside the tiara. Your baby will get a lot of attention and compliments in the party that she goes to. The details on the tiara are so well made that they bring a beautiful and realistic look to the tiara along with the outer edge of the brim. These small items also look bright and shiny. 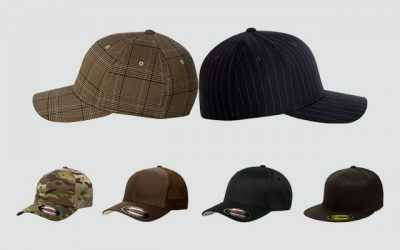 Moreover, the felt material of this hat is also of premium quality. It is thick but still well ventilated to keep the head of your baby cool and dry all of the time. The hat is also very lightweight so there is no burden at all even when your baby has to wear this hat for a long time. Last but not least, this cowboy hat for kids comes with a chin cord, which is capable of keeping the hat stay secured on the head of your baby, no matter how active your baby is. 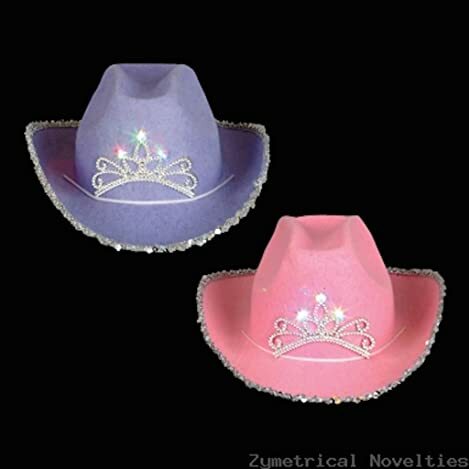 As I mentioned above, a themed party where your baby wants to become a princess is an ideal event for your baby to put on this cowboy hat with light-up tiara. 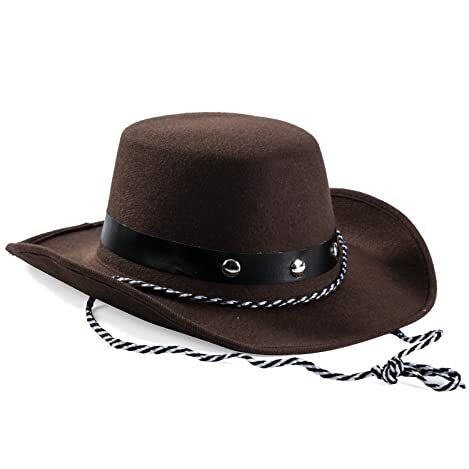 Its Main Features: It features a structured Western cowgirl design with a teardrop crease and a shapeable brim. There are 3 options of colors for your consideration include brown, light brown, and white. Not to mention that there are beaded detailing with butterfly or oval shape accent that your baby girl will surely love. 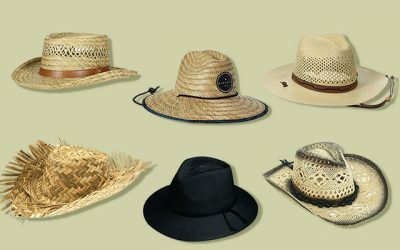 It is made of synthetic straw with a 3 inch brim and 4.1 inch crown. 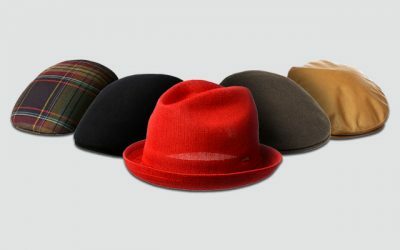 The hat is available in 1 size which can fit head’s circumference of up to 21 inches. 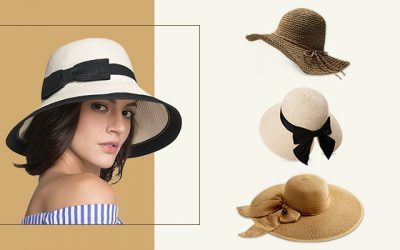 The brim of this hat is shapeable so that you can easily reshape the curve of the brim to form the style that you want. Moreover, the headband of this hat is removable so that you can take it out if you want to. Also, there are several choices of designs for the headband as well as you can use turquoise germs, metal bulls, and other styled beads and buttons. Whichever you like, you can use to decorate the headband to make sure that your kid has a unique look from other kids. I have to say, with this hat, you can easily have the style that you want. The material of this hat is made of the premium type of straw which is soft and comfortable for your kid to wear. It is also cool and breathable with the 50 + UPF rating to protect your kid when he or she plays out under the sun. It is also tough and resistant which will stand against the test of time pretty well. Last but not least, since the material of this hat is soft, you can easily fold the hat and pack it inside a small bag for easy storage and carrying around. Its Main Features: This cowboy hat is made of 100 % of polyester. It is available in black color with the white details. This hat features a classic authentic cowboy hat which is a real deal for customer parties, Halloween and even casual summer outings. Special feature about this youth cowboy hat is that brim of hat is stitched with string band and adjustable chin string is accented around the crown of hat. This cowboy hat is available in one size with an adjustable drawstring for a better fit. The inner circumference of the hat is 20 inches. All of the details of this cowboy hat are made with an excellent craftsmanship. 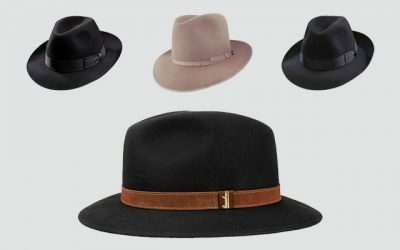 Hence, the string bands which are stitched on the brim of the hat are firm and sturdy with no loose threads at all. The polyester material is tough and long lasting. It also makes the hat lightweight and comfortable to wear. Not to mention that it is easy to care for a polyester hat as it is tough and machine washable. It also has a quick drying performance and stain resistant. The colors on the hat are bright and vivid that will stay in the same shades regardless of how many times you wash the hat as well. With the adjustable chin strap, the hat will not fly away from your baby’s head in case it is windy outside. Also, your baby is free to go running around and stay active without worrying that the hat might come off. The small problem we have with this hat is that the crown of the hat is a little bit shallow. Hence, it might sit higher on your baby’s head. 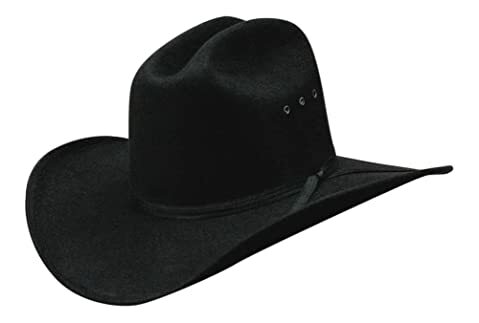 Its Main Features: The last cowboy hat we want to introduce to you is another one made from felt material. There are 2 options of colors for you to choose from, including brow and black. You can also choose between the black band and the gold braid. It is available in 1 size that can fit head’s circumferences from 19.5 inches to 21.75 inches. The brim of this cowboy hat is 3.75 inches in width. It means that the hat is wide enough to provide a great coverage for your kids during their activities in the outdoors such as hiking and fishing. The felt material is soft and smooth enough to make sure your baby feel comfortable while wearing this hat. In addition, there is an inner sweatband which is built inside the hat to wick moisture away and prevent rubbing and irritation. Not to mention that while the fabric is quite thick, it is lightweight. The headband is also quite stretchy and elastic, allowing the hat to easily fit the head of your baby comfortably. There are different choices of colors and assorted headband for you to choose from. 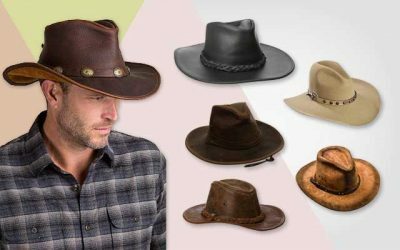 If you are looking for a cowboy hat for a Western themed party, you have plenty choices to think about. That is all about the best cowboy hats for your kids that you can buy on the market at the moment. As you can see, there are a lot of cute and adorable designs for your consideration. The quality of the material and the craftsmanship are two other things that you should check carefully before you decide to buy a cowboy hat. When you are able to find a suitable cowboy hat for your baby, you will see how cute and adorable your baby is when he or she is wearing the hat. 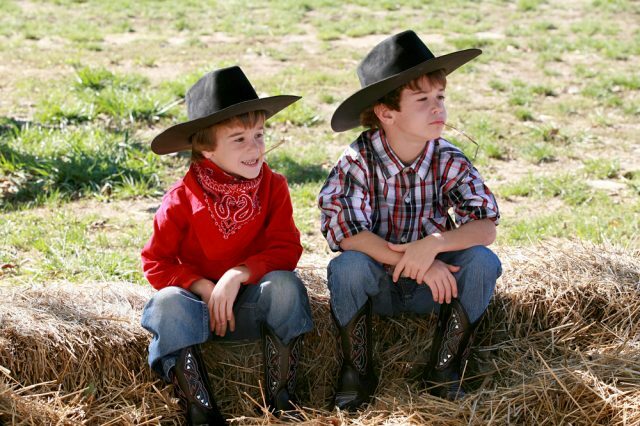 Hence, it is worth it that you spend enough time and effort in searching for the right cowboy hat for your kids. I hope that with all of the information I provided above, you can quickly find the hat that your baby would love to wear and look adorable in it.